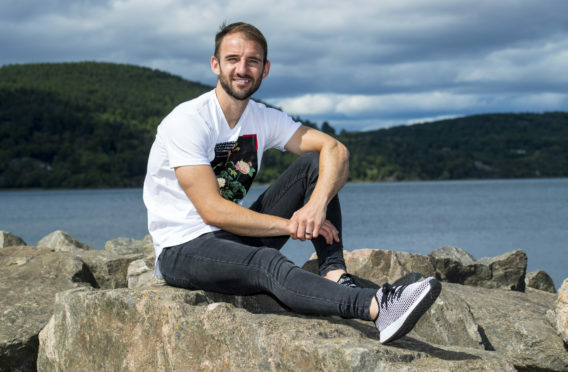 Caley Thistle midfielder Sean Welsh. Inverness have a Scottish Cup final against Hearts next month to look forward to but Welsh insists all thoughts of a trip to Hampden are on hold as his side bid to make the top four of the Championship. Dunfermline have moved about Inverness thanks to a run of five straight wins without conceding a goal but Caley Jags can move above them back into fourth spot if they can beat Welsh’s former club Partick Thistle at Firhill tonight. Welsh said: “The incentive for the season now is to make sure we get into the play-offs. We have four games between now and the semi-final against the teams in the bottom half of the league so we need to get positive results and get ourselves back in the play-offs. Welsh has been impressed by the progress being made at the Jags under new manager Gary Caldwell but is confident his side can continue their own strong run of results tonight. Inverness head to Firhill with four wins from the last five games and while disappointed at seeing his team’s Highland derby postponed a week ago Welsh says confidence is high in the Caley Thistle camp. He said: “We’re on a nice wee run and good wins in the cup have helped. We went to Queens and put in a really good performance a couple of weeks ago. Our confidence is high and we are looking forward to the games but the teams we are facing are in a false position when you look at the size of them. “Everyone was desperate for the game to be on last week given the way we have been playing. “From the turn of the year Partick have really lifted their form. They’ve changed personnel and seem to be going in the right direction again. You could say they are in a false position but just have to worry about ourselves and go and impose ourselves on the game. If we play well we can come away with the three points.